Vedang are the auxillary to the four Vedas essential for the correct interpretation of the Vedas. 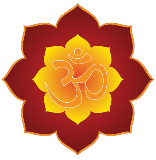 Mundaka Upanisad mentions that there are six Vedanga which are as follows: (i) Siksha (Education), (ii) Kalpa (Creation), (iii) Vyakarana (Grammer), (iv) Nirukta (Etymology), (v) Chhanda (Metres), and (vi) Jyotisha (Mathematics & Astronomy). Siksha is related to sound, letters, pronunciation, the method of teaching and learning of these basic elements. Every Veda has its own peculiar pronunciation of certain letters, and each one of them has its specific modes and speed of recitation. A book called Siksha Sangraha contains a collection of 32 systems of siksha. These systems relate to different sakhas of the four Vedas. The most important among the books relating to siksha is the famous Paniniya Siksha. Another important book is Yaajnavalkya Siksha. In Vasishthi Siksha we have a detailed account of the differences between the mantras of the Rig-Veda and Yajur-Veda. Both Yaajnavalkya siksha and Vasishthi siksa are related to the Vajasaneyi Samhita. The other important works are: Katyaayani siksha, Paaraashari siksha, Maadhyandini Siksha, Keshavi Siksha and Manduki Siksha. In Naaradiya Siksha, which is related to the Sama-Veda, there is supposed to be the knowledge of the secret of different sounds. The development of Siksha as a Vedaanga and as a science demonstrates the profoundity and vast scope of research that was undertaken in respect of pronunciation in ancient India. It is because of this Vedaanga that the system of Vedic recitation has remained intact right from the ancient times to the present day. A given sakha is recited in the same way all over the country, and Vedapaathis of the same sakha, belonging to different parts of India, pronounce mantras with the same intonation, speed and strength and force and even the same hand movements. If the Vedaanga system of pronunciation has remained so uniform in the country, and if the tradition has remained so powerful, it is because of the degree of perfection that was achieved in respect of Siksha. 2. Kalpa: Vedic system involves Karmakaanda (system of prescribed acts and rituals). A detailed understanding of this Karmakaanda became necessary in due course of time, and this gave rise to a vast literature of Kalpasutra. Kalpa means that which is understood or justified in respect of prescribed acts and rituals. 3. Pratishakhya / Vyaakaran / Grammer: Vyakarana is considered to be a principal part of the six Vedaangas. Vyakarana is looked upon as the mouth among the Vedaangas. The most celebrated author of vyakarana is Panini, who has himself mentioned several great names of the great grammarians. Panini's famous book is Ashtadhyayi, in which he has discussed both Vedic and non-Vedic words. One of the greatest commentaries on vyakarana is that of Patanjali. This is supposed to be the most authentic book on Panini's Vyakarana. The authenticity of Patanjali's commentary is so great that wherever there is a difference of opinion between Sutra, Vaarttika and Mahabhashya, the verdict of the Mahabhashya of Patanjali is regarded to be ultimately acceptable. Closely connected with Siksha, Chhandas and Vyakarana, there is a body of literature known as Praatisaakhya. For each Veda and for each sakha there are certain specific rules, and these rules deal with various subjects connected with pronunciation, meters, and other grammatical matters. The meaning of the Veda is also indicated in the Praatisaakhya, and it is therefore considered to be an aid to the study of the concerned Veda. The Rik Praatisaakhya deals with the Saishiriya Upasaakha of the Saakala sakha of the Rig-Veda. Maharshi Shaunaka is the author. The great commentator Uvat has written a commentary on this Praatisaakhya. Kaatyaayana who belonged to a period earlier than that of Panini composed Vajasaneyi Praatisaakhya. Uvat and Anantabhatta have written, respectively, Matriveda and Padaarthaprakashaka to elucidate the Praatisaakhya of Katyayana. Taittiriya Praatisaakhya is related to the Taittiriya Samhita of Krishna Yajur-Veda. The commentary has been written by Mahishi, which is known as Padakramasadana. Pushpasutra and Riktantra are the two Praatisaakhyas on the Sama-Veda. The author of Pushpasutra is supposed to be Vararuchi, and the author of Riktantra is supposed to be Shaakatayaana. The Chaturaadhyayika is the oldest Praatisaakhya of the Atharva-Veda. Kautsa is supposed to be the author of this Praatisaakhya, which is also known as Kautsa Vyakarana. In sixteenth century AD, the method of the study of grammar propounded by Panini began to be replaced to some extent by the tradition of Kaatantra. In that tradition, Siddhanta Kaumudi of Bhattoji Dikshit and Prakriya Sarvasa of Narayana Bhatta are most prominent. Vyakarana developed also in the field of philosophy, and Bhartrihari who belonged to the sixth century AD initiated this. 4. Nighantu / Nirukta (including Bhavprakash by Yashkaacharya): Nirukta is a kind of commentary on Nighantu, which is a collection of difficult words of the Veda. Nighantu is supposed to have been one meaning, and in the fourth chapter, it gives a collection of those words, which have several meanings. In the fifth chapter, the names of Vedic gods have been collected. There have been many commentaries on Nighantu, but it is the commentary of Yaksha, which has found its place as one of the Vedaangas, and this Vedaanga is known as Nirukta. Nirukta is not confined only to meanings of words; it traces the words to their originals, and it indicates how different similar or dissimilar words arose from those origins. The principle that all names originated from verbs is an important principle of Nirukta, and even modern linguists accept this principle. Prior to Yaksha also, there were many methods and systems of Vedic interpretation, such as Aadhi-daivata, Aadhyaatma, Aakhyaana-Samaya, Aitihaasika, Naidaana, Paarivraaajaka, Yaajnika, etc. The composition of the Vedas indicates consummate development of the knowledge of the poetic meter, chhandas. The first discussion on Vedic meters is to be found in the Saankhyaayana Srauta-sutra. But the classical work on meters is that of Maharshi Pingal. Meters or chhandas have been studied by Pingal in the eighth chapter of his book Chhandah-sutra. In this book, he has taken into account not only Vedic meters but also others. There are mainly seven Vedic meters, namely, Gayatri, Ushnik, Anushtubh, Brhati, Pankti, Trishtubh, and Jagati. According to Kaatyaayana, the highest number of mantras in the Rig-Veda is to be found in Trishtubh. This number is 4253. Gayatri has 24 67 mantras; Ushnik has 341 mantras; Pankti has 312 mantras, and Brahti has 181 mantras. Although there are numerous meters, we find only 50 meters in the Sanskrit literature. Prior to Pingalacharya, there were several great teachers of Chhanda Sastra, such as Koshtuki, Yaksha, Kaashyapa and Maandavya. There have been several commentaries on the Chhanda-sutra of Pingalacharya. In fact, there has been a continuous development of books on Chhanda Sastra. The development of musical science also owed a great deal to Chhanda Sastra. It is well known that the Sama-Veda is to sing. Although the method of singing the Sama is different from that of classical music, the seven tunes, namely, shadja, rishabha, gandhara, madhyama, panchama, dhaivata, and nishaada are used in Sama in the same way as in classical music. In the Chhaandogya Upanisad which is based upon the Sama-Veda, five types of musical renderings of the Sama have been indicated, namely, Himkaara, Prastaava, Udgitha, Pratihaar and Nidhaan. It is noteworthy that Vedic literature refers also to several musical instruments, including the veena. In social life, too, because of the close connection between religious rites and music, various melodies developed, particularly six melodies corresponding to the six seasons. Closely connected with music was the development of dance and drama. Among the important works in Sanskrit regarding music, dance and drama the most important one is Naatya Sastra of Bharat Muni. There are two Samhitas on Natya Sastra, namely, Dwaadasha Sahasri and Shat Sahasri. The traditions established by Bharat Muni remained prevalent for more than a thousand years, and even in the book Sangeet Ratnaakar or Sharangadeva of thirteenth century AD, the authority of Bharat Muni has been acknowledged. Thereafter also there has been a vast literature on music, dance and drama. In fact, music, dance, and drama received royal patronage throughout the ages, and some of the great kings of the north and south were themselves great musicians. The sixth Vedaanga relates to Jyotisa - astronomy and astrology. Jyotisa is considered to be the science of light, and it is looked upon as the eyes among the Vedaangas. Vedic knowledge had discovered an inner rhythm cosmic movement, and this rhythm seems to correspond with periodic developments and seasons of human life. The transit of planets, calculation of days and nights and the determination of various seasons were closely studied. The science of Jyotisa described planets, constellations, comets and also the rotations and revolutions of various luminous objects of the heavens. Rig-Veda Jyotisa Vedaanga has been attributed to Lagadhaacharya. It consists of 36 verses. There is also a Jyotisa related to the Yajur-Veda and another related to Atharva-Veda. Yajur-Veda Jyotisa consists of 34 verses, and it has been attributed to Shoshaacharya. Atharva-Veda Jyotisa has 14 chapters and 102 verses. It is supposed to be a dialogue between Pitaamaha who was the speaker and Kashyapa who was the listener. Among the greatest astronomers and astrologers of India, the most celebrated name is that of Varaahamihira. His famous book, Pancha Siddhaantika speaks of five systems of jyotisa: Pitamaha Siddhaanta, Vasistha Siddhaanta, Romaka Siddhaanta, Poulisha Siddhaanta, and Surya Siddhaanta. In due course, Jyotisa inspired the development of various sciences including arithmetic, algebra, geometry, astronomy, and astrology. Bhaskaraacharya of twelfth century AD is regarded as the first among the mathematicians and astrologers of the middle ages. Jyotisa is even today prevalent all over India, and it is even now a developing science. The Panchaanga, which gives detailed information regarding the tithi, vaara, nakshatra, yoga and karana, is commonly used in most Indian homes; and the annuals of the Panchaanga are constantly consulted by astronomers, astrologers and many individuals in day-to-day life.